This landmark hotel traces its origins to Morgan T. Wynne and Franklin J. Horne, who first opened it as a seaside dance club in 1935. On 2 July 1941, the King and Prince Hotel, designed by Laurence Miller and Felton Davis in the Spanish Colonial Revival style, opened to rave reviews. 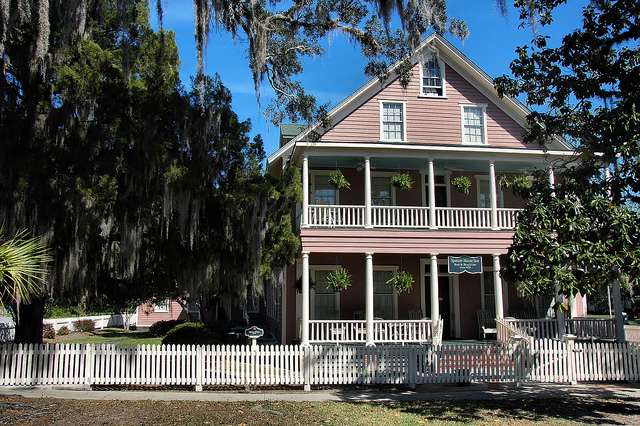 It immediately became the hotel of record on St. Simons. It was occupied by the Navy as a coast-watching and training facility during World War II, reopening in 1947. Renovations in the 1970s and 1980s modernized rooms and infrastructure, but retained the historical integrity of the property. An expansion doubled the number of rooms in 2003, again, with a focus on maintaining its iconic appearance. Now known as the King and Prince Beach & Golf Resort, it remains as nostalgic and popular as ever. 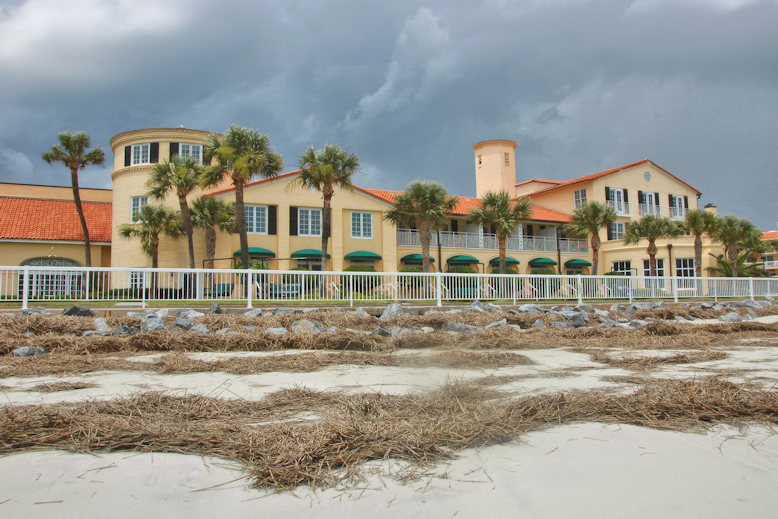 And with the loss of the DeSoto Beach Hotel on Tybee Island in 1999, the King and Prince is the last of Georgia’s grand old oceanfront hotels. In its 20th-century heyday, this was a guest house, though it’s probably best remembered as a private residence today. It’s been restored since I made this photograph in 2011 and is now for sale. 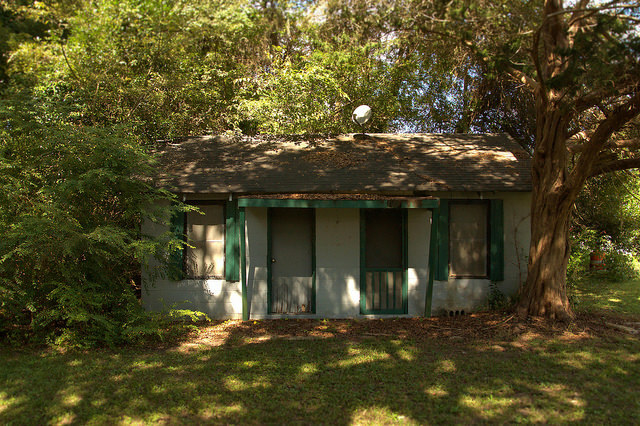 Common on all of America’s major highways from the 1930s to the 1960s, “tourist cabins” like these were the forerunners of motels and have largely disappeared from the American landscape today. 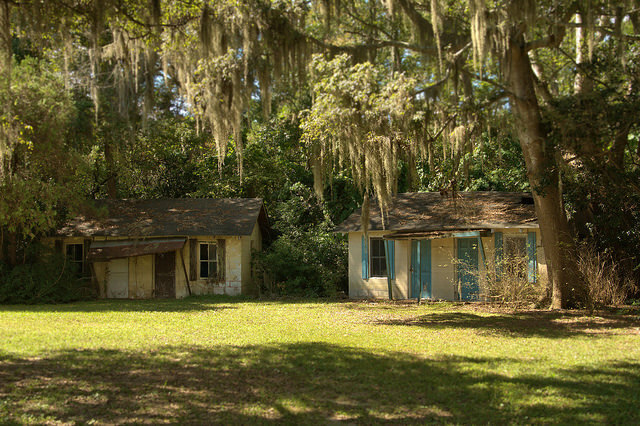 These are quite well-preserved and likely among the best examples remaining on the coast. This is now used as a bed and breakfast inn. The local historic marker dates it as circa 1885, but on the inn’s website, it’s dated to 1870. I’m not sure which is correct. It was built by Samuel Burns, who sold it to Ralph Sandiford. 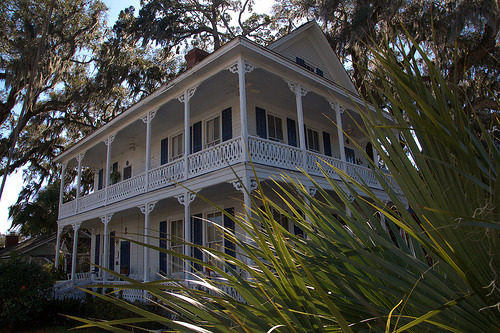 In 1901, steamboat captain Walton Goodbread (Gutbrodt) purchased the home. 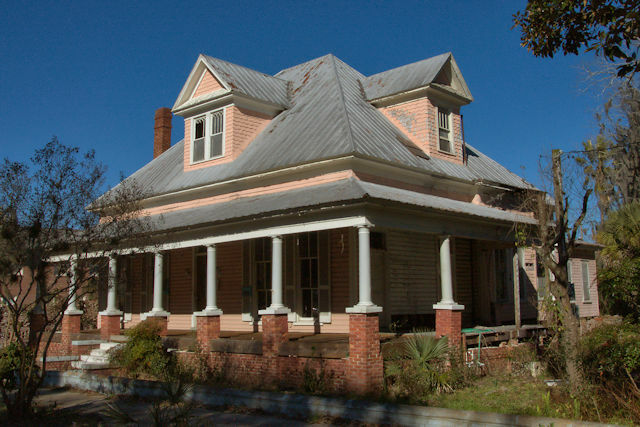 For a time after that it was used for overflow guests of the Riverview Inn, and finally, before its present incarnation it served as Dixon’s Boarding House. The historic Riverview Hotel rests on the banks of the St. Marys River. 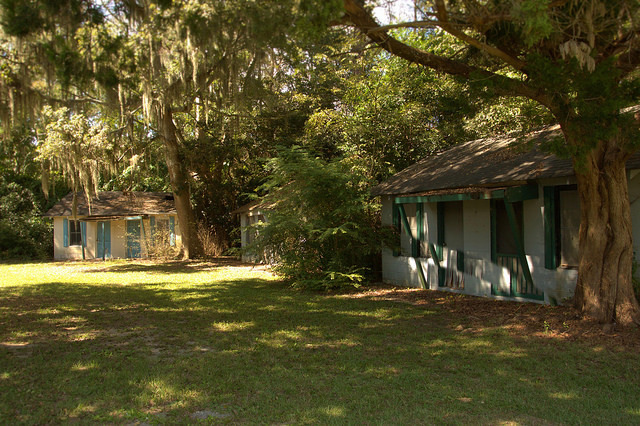 It’s the hotel nearest to the Cumberland Island Ferry and Visitor Center for Cumberland Island National Seashore. 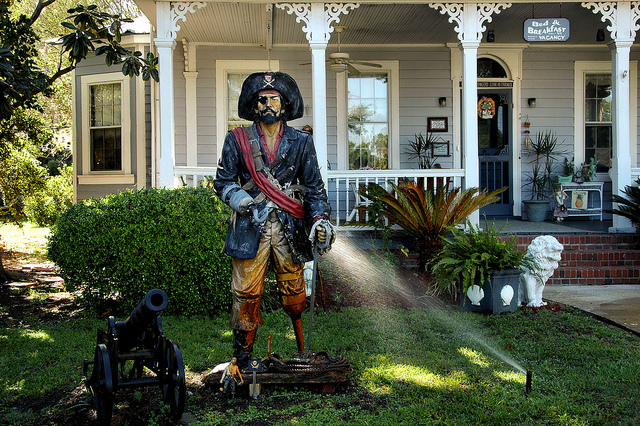 It has been owned and operated by the Brandon Family since the 1920′s. Sallie Brandon purchased the Hotel with the help of her two sisters, Miss Semora and Miss Ethel. 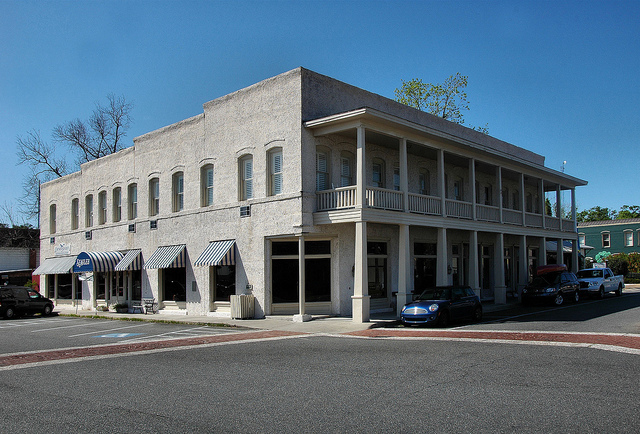 Built in 1872, Spencer House was, in its time, distinguished as the finest hotel in St. Marys and southeast Georgia. Today it is an exquisitely preserved example of Victorian-era architecture. Spencer House is named for Captain William T. Spencer who, along with his wife Harriet Louise, built the hotel while he was serving as the collector of customs for the port of St. Marys from 1871 to 1873. Today, it serves its original purpose once again as a bed and breakfast.